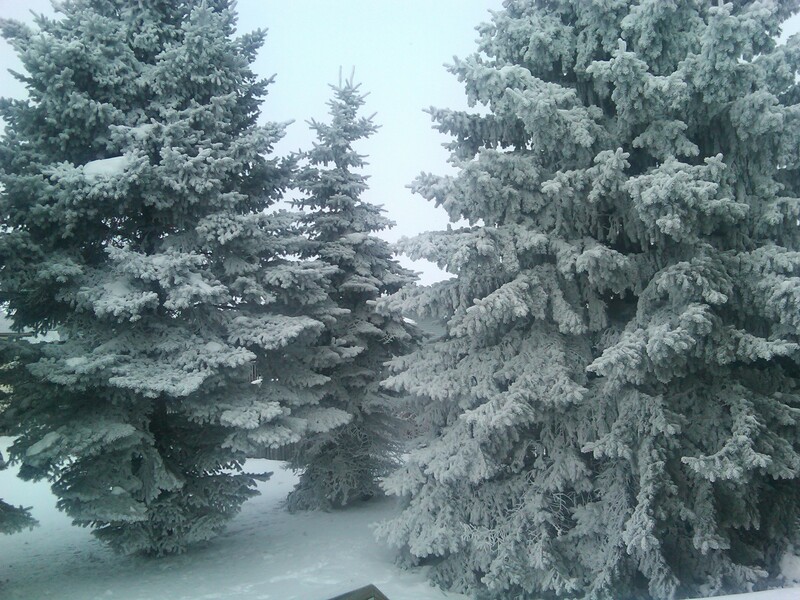 The morning of January 19th, the city of Grand Forks received a visit from the rime fairy. This picture is taken standing in the middle of the road in front of my house looking north. You can see the trees along the road are completely covered in white. 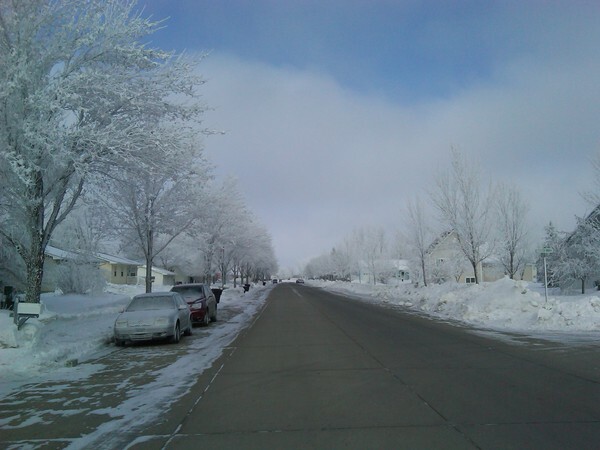 I think the image is a good representation of Grand Forks in the winter months, cold and desolate. rime—A white or milky and opaque granular deposit of ice formed by the rapid freezing of supercooled water drops as they impinge upon an exposed object. hoarfrost—A deposit of interlocking ice crystals (hoar crystals) formed by direct deposition on objects, usually those of small diameter freely exposed to the air, such as tree branches, plant stems and leaf edges, wires, poles, etc. I remember the night before being very foggy and felt small particles falling on me as I left work thus I believe it was rime instead of hoarfrost. I was analogous to an airplane wing walking through supercooled liquid water droplets and had I been outside long enough, I would have experienced significant icing. 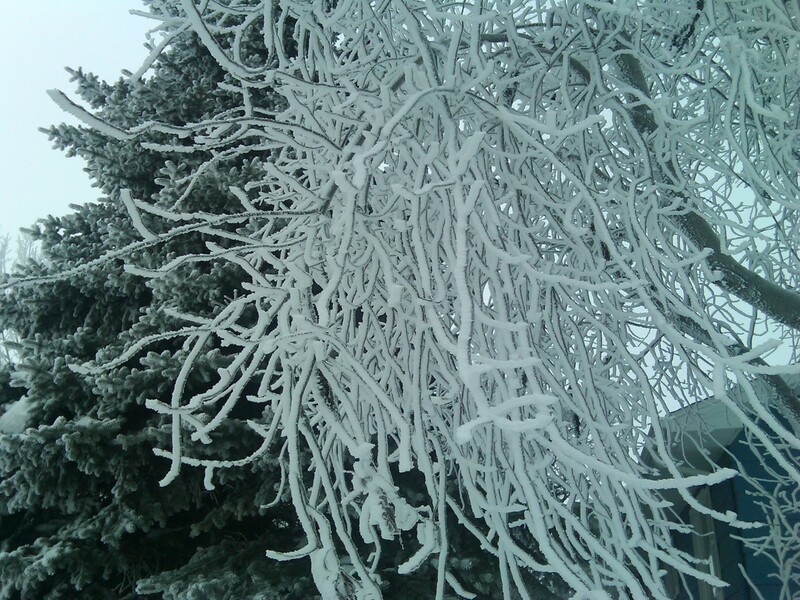 Tree in my front yard.